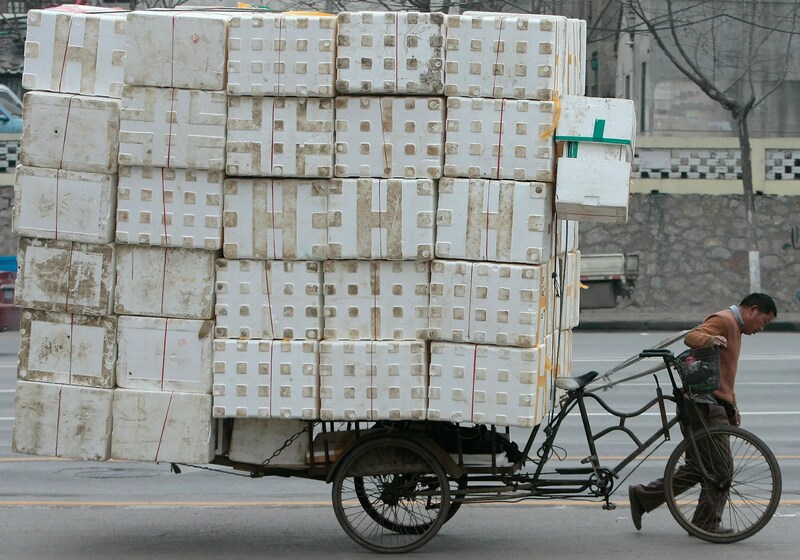 In most western nations, goods are transported on trains, ships, and trucks. 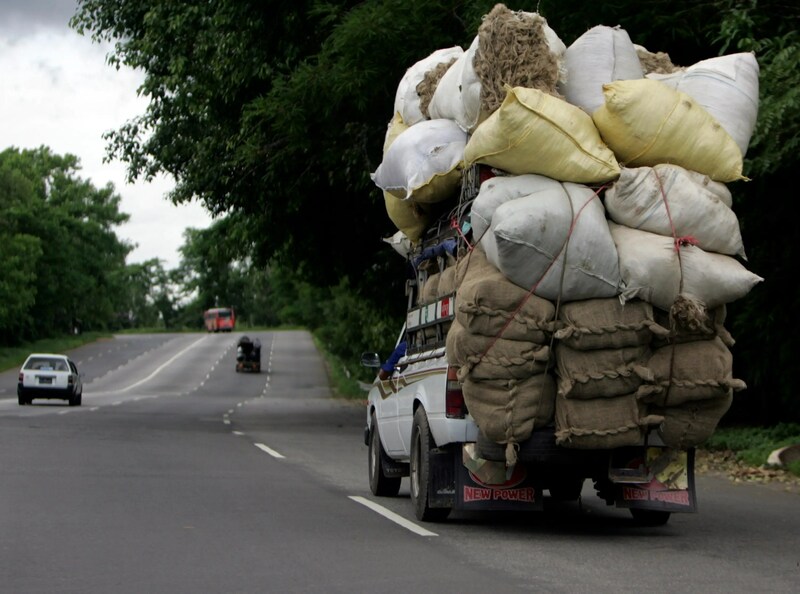 But in areas where those vehicles are less available, people and goods move from place to place by some rather creative means. 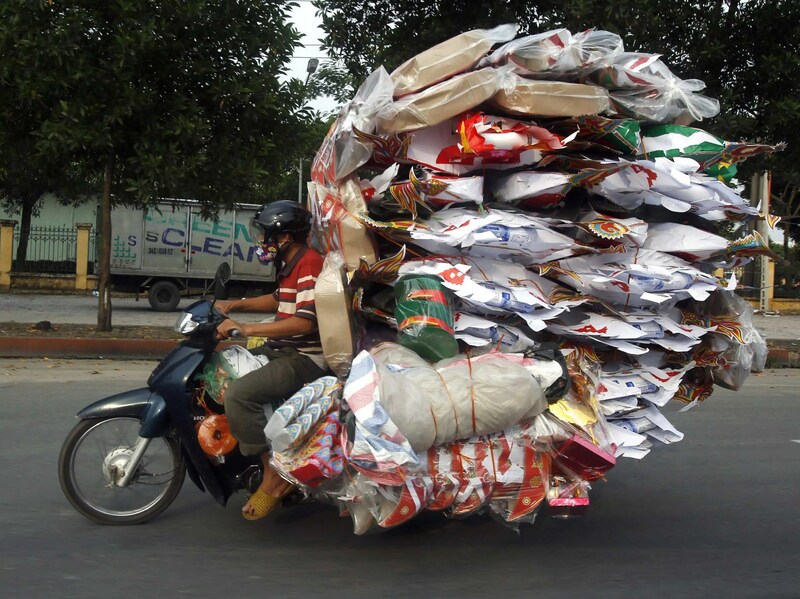 These photos from Reuters reveal how people from all over the world use bikes, carts, boats, and animals in amazing ways to get themselves and their stuff where they need to go. Alex Davies and Julie Zeveloff contributed to this story. 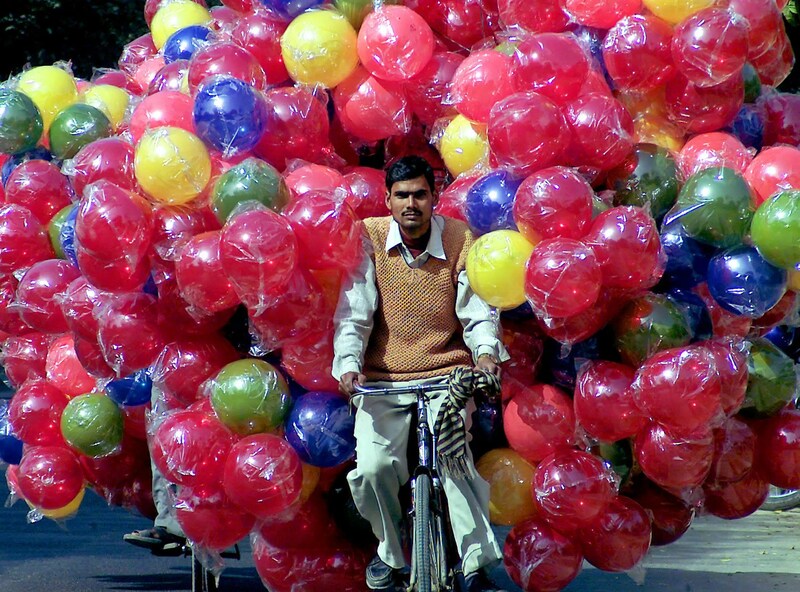 This man in India is biking around with a huge number of plastic balls. 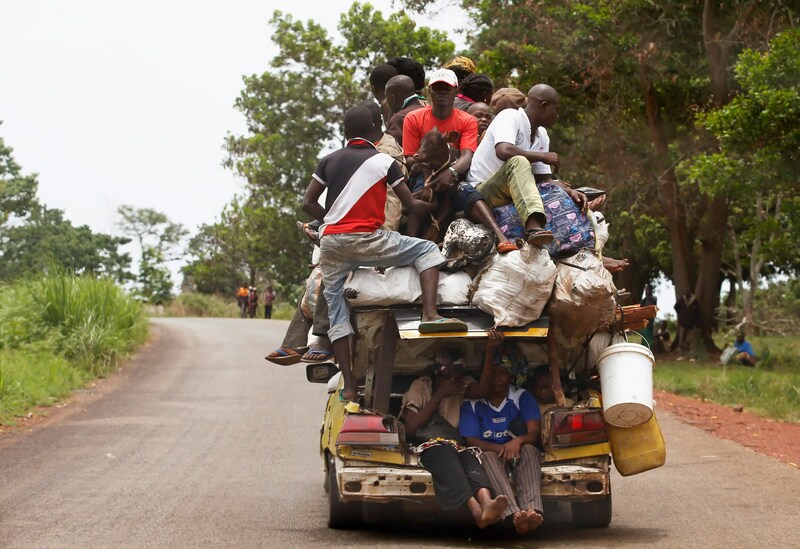 These folks and some livestock in the Central African Republic have taken hitchhiking to a whole new level. 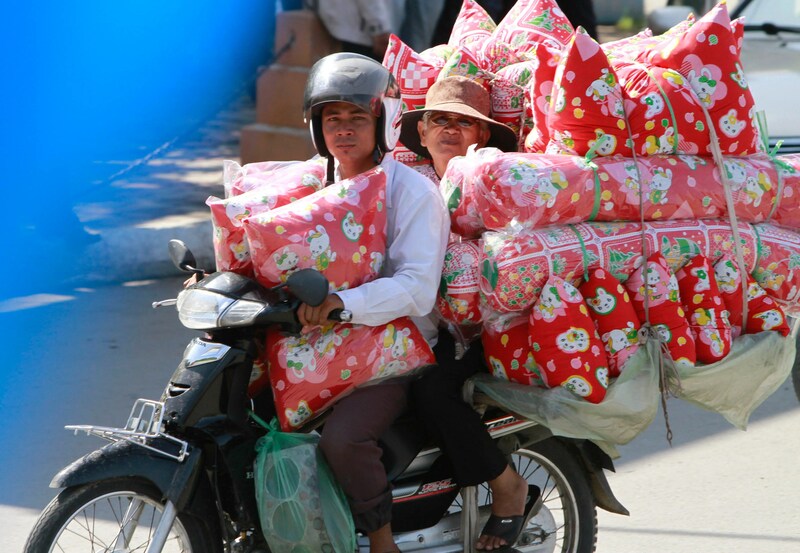 One moped, two riders, and lots of fluffy cushions in Cambodia. 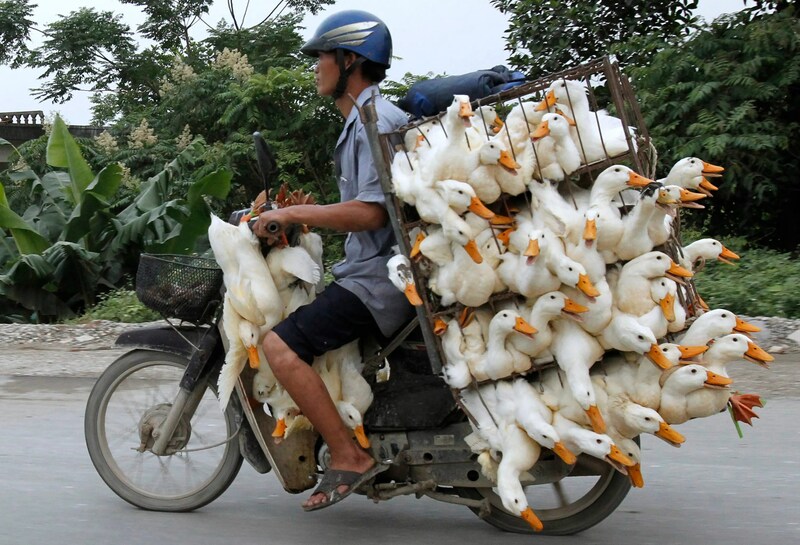 For transporting a lot of ducks, a motorcycle works. 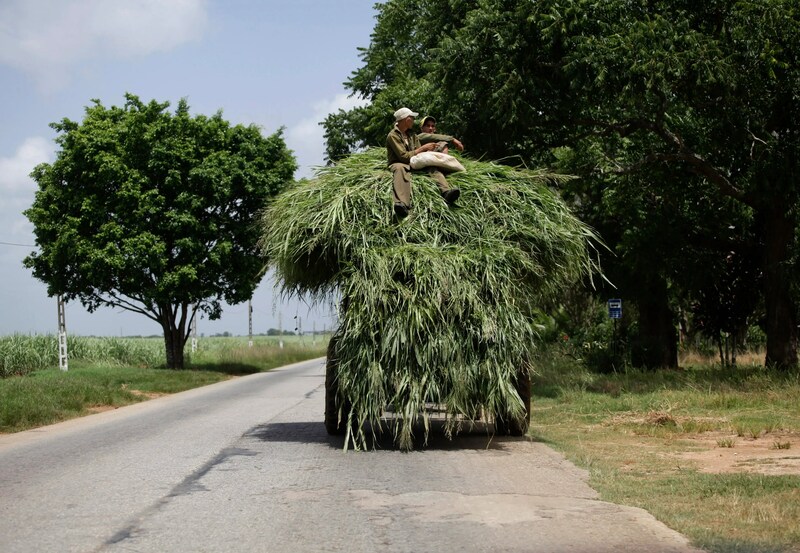 Farmers in Cuba ride a top of a wagon carrying animal feed. 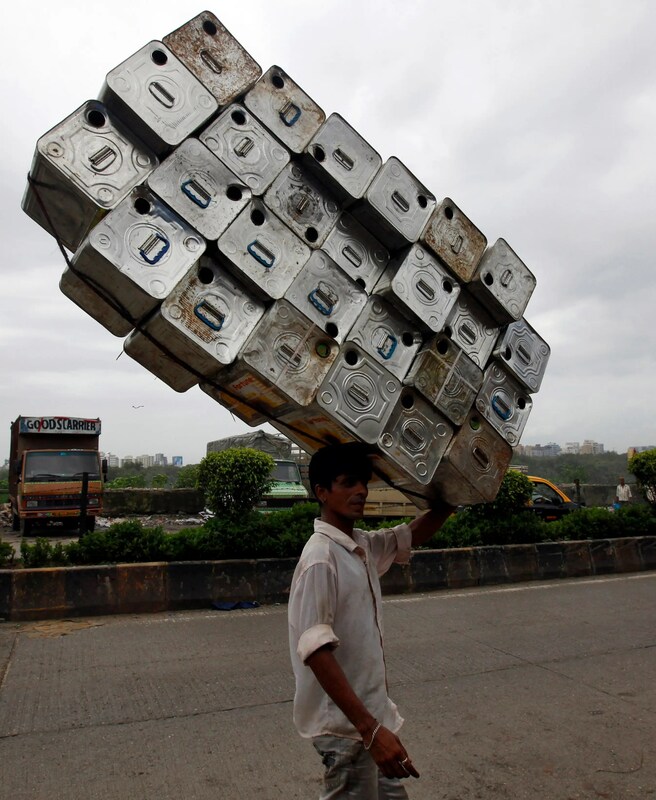 This man in India is headed for the recycling center. 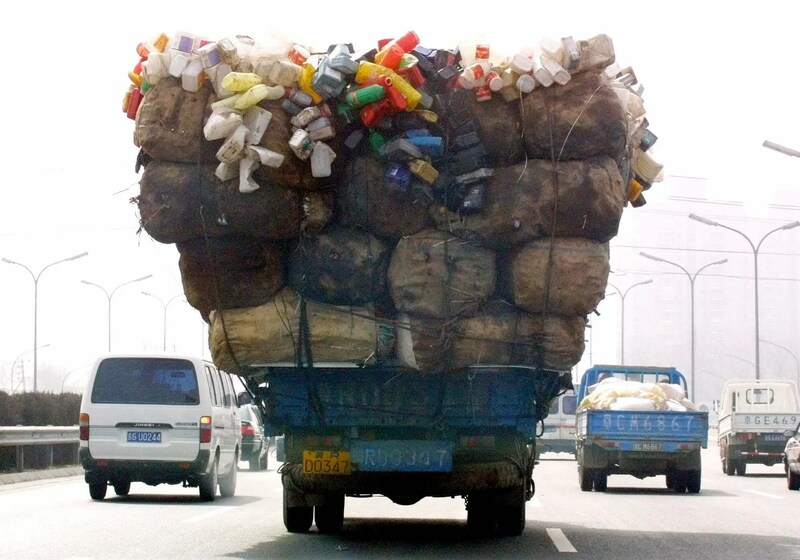 Here’s a Chinese truck carry a wide load down a road. This one has an even wider load. 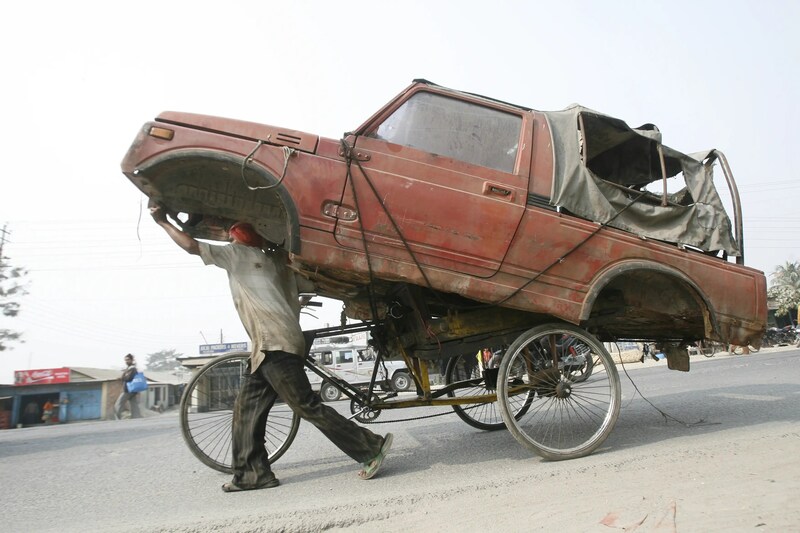 An Indian rickshaw driver is taking a wrecked car for a ride. 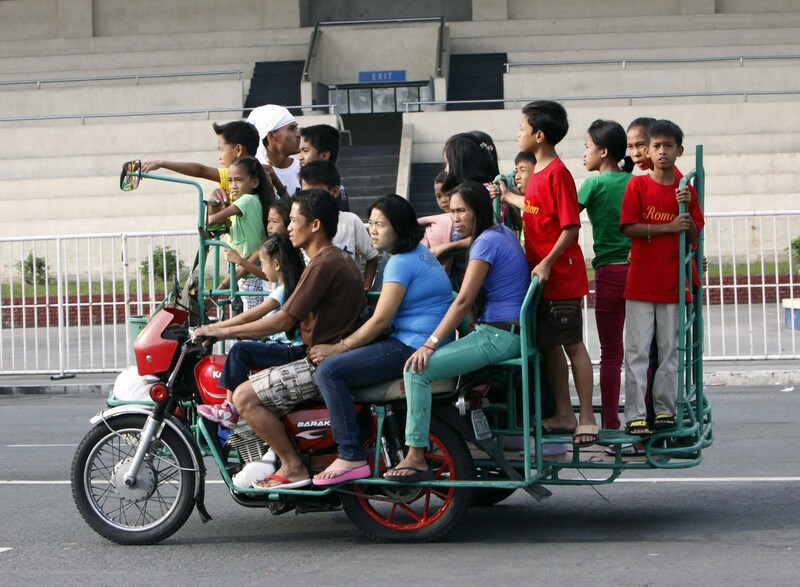 These folks in the Philippines don’t need a school bus; they’ve got a tricycle. 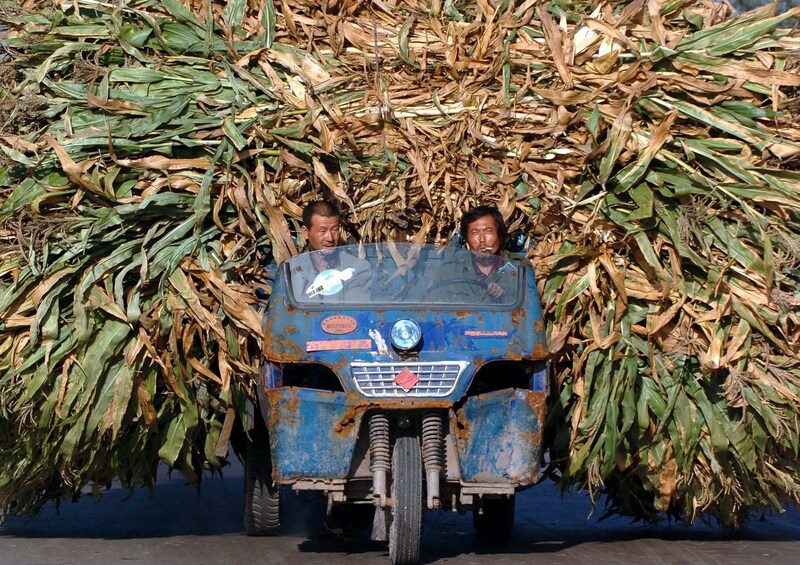 This truck in Myanmar isn’t headed for the fast lane anytime soon. 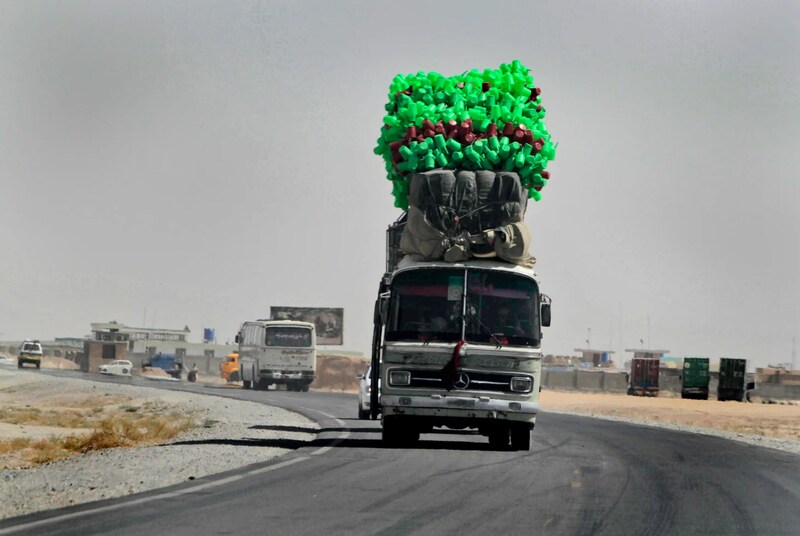 While this bus in Afghanistan looks a just a little top heavy. 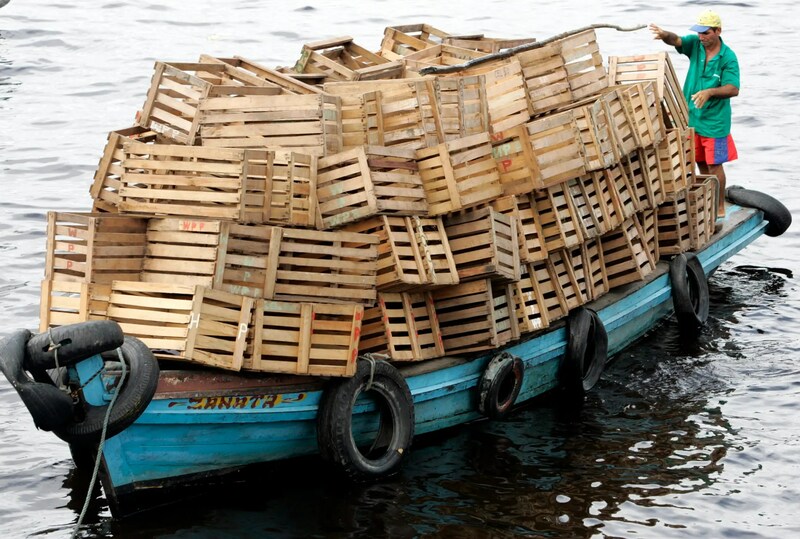 A riverboat in Amazonas, Brazil is overloaded with empty boxes. 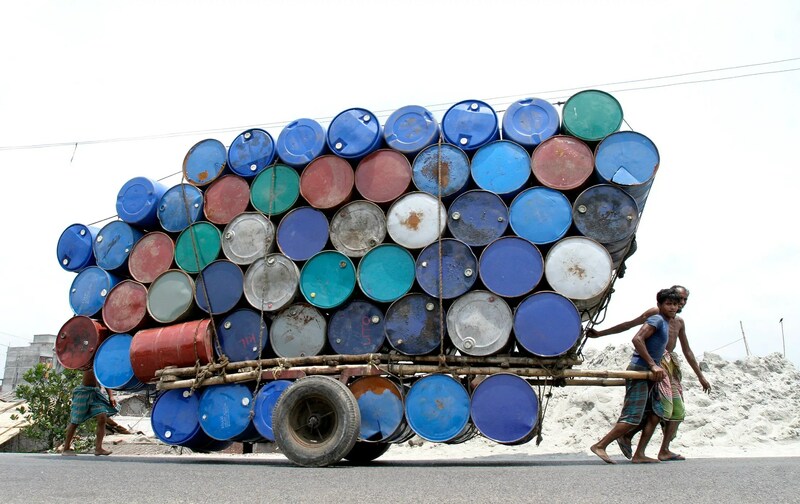 Two people pull a cart of used containers in Dhaka, Bangladesh. 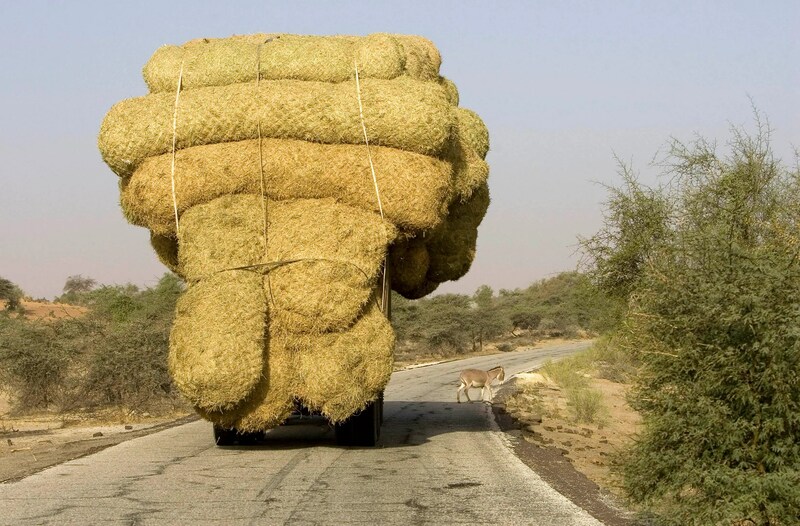 A truck carrying rice stalks is headed to Nouakchott, Mauritania. Two men on horse-drawn carts transport hay through a sandstorm in China. 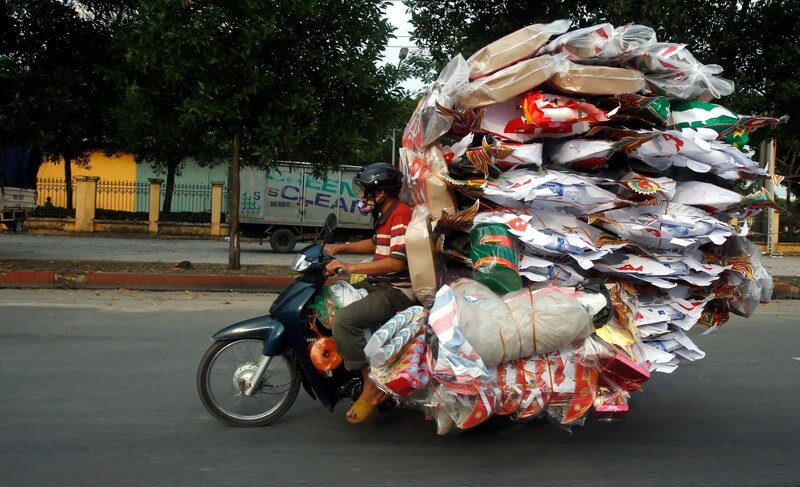 A man transports paper replicas of various items to be sold for the Vu Lan Festival (“festival of hungry ghosts”) outside Hanoi, Vietnam. 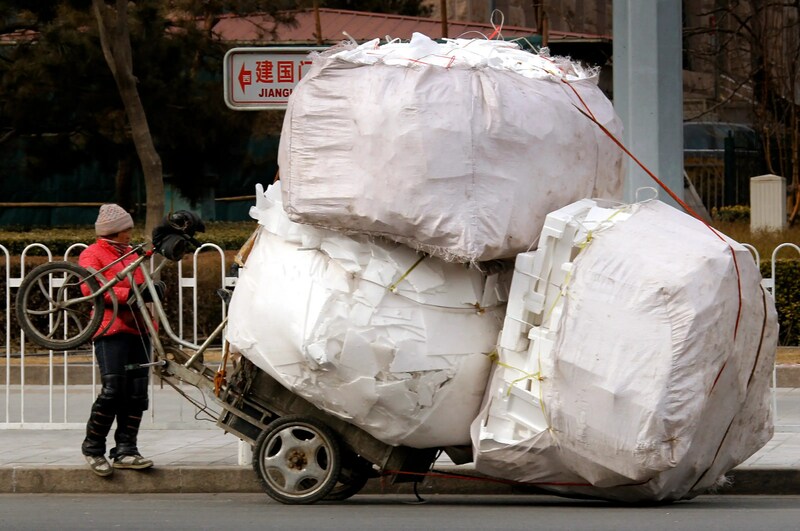 In Beijing, a woman loaded her tricycle with recyclable materials. 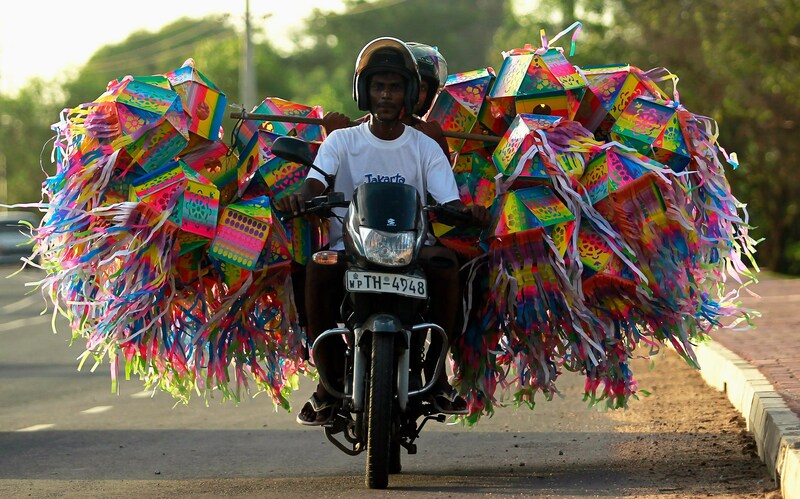 Two men transport lanterns on a motorbike in Colombo, Sri Lanka. 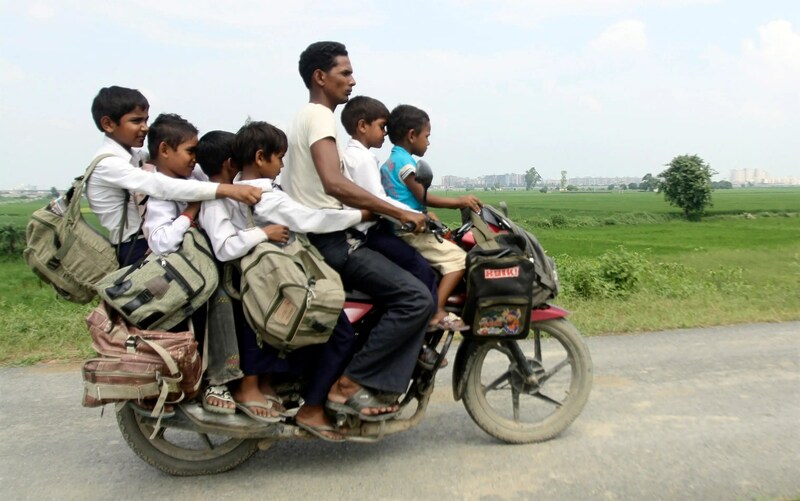 A man and six children share one motorcycle in India’s Uttar Pradesh province. 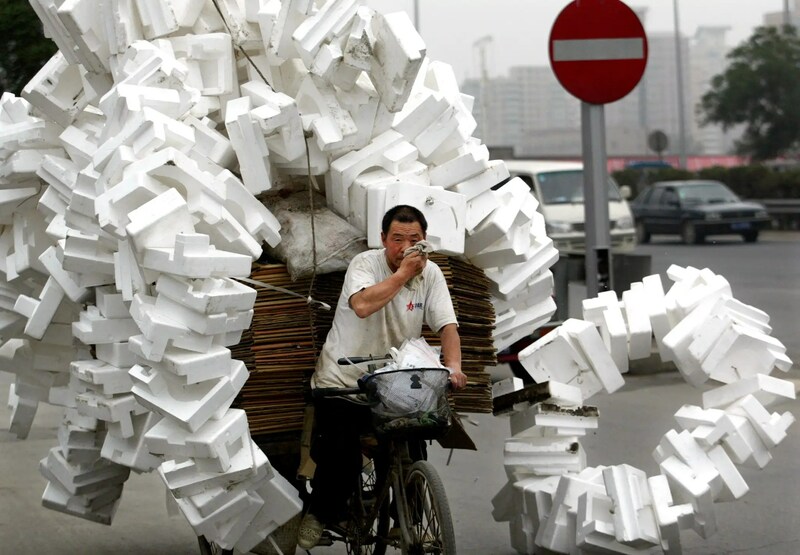 A migrant worker pulls a cart loaded with discarded plastic foam for recycling in Nanjing, China. 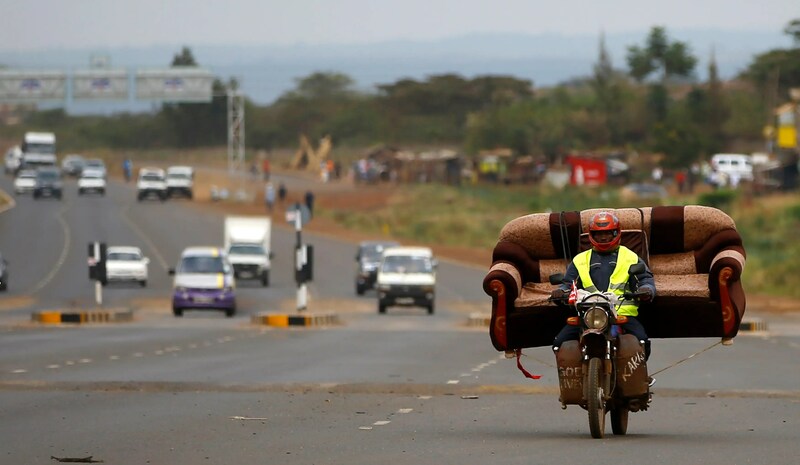 In Nairobi, Kenya, a man carries sofa on motorcycle. 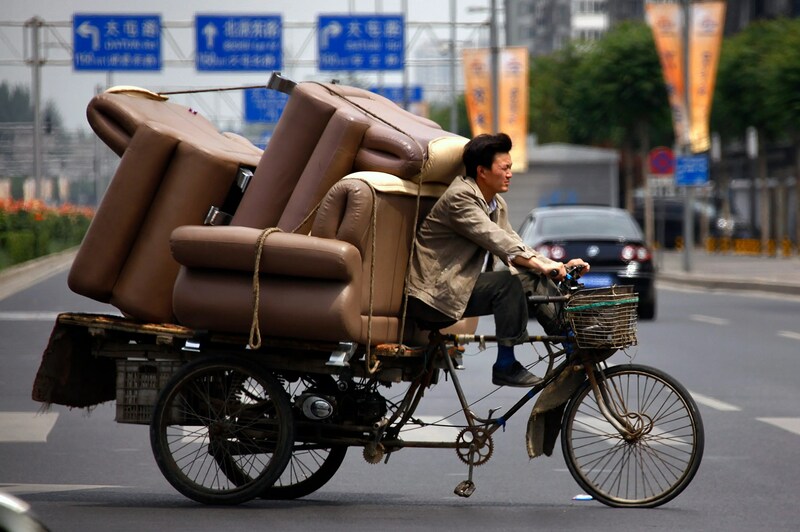 While in Beijing, a man bikes around with a lot of furniture. 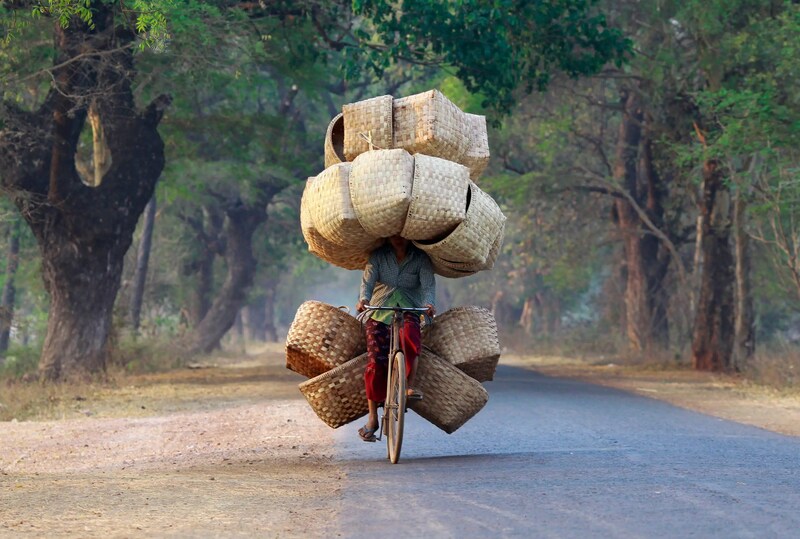 Here’s a woman biking with baskets to sell in a market in Myanmar. 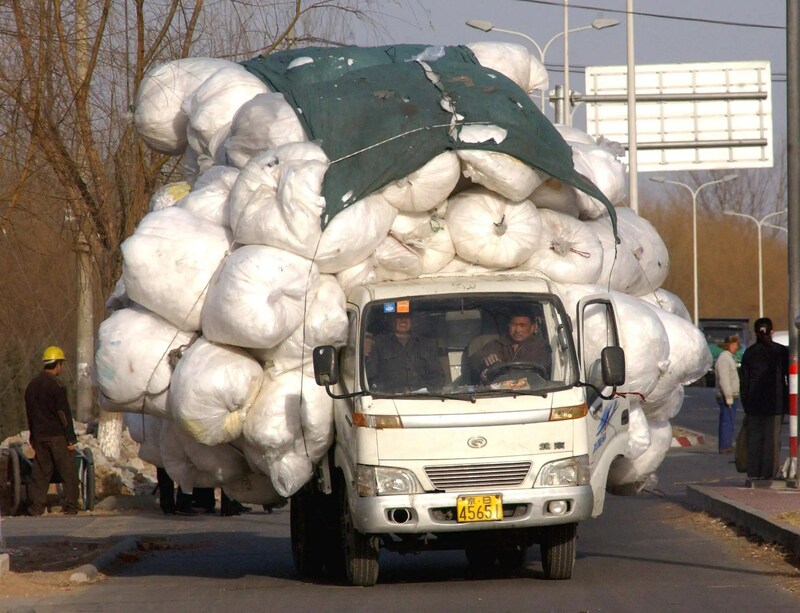 And a Chinese man with recyclable rubbish in Beijing. 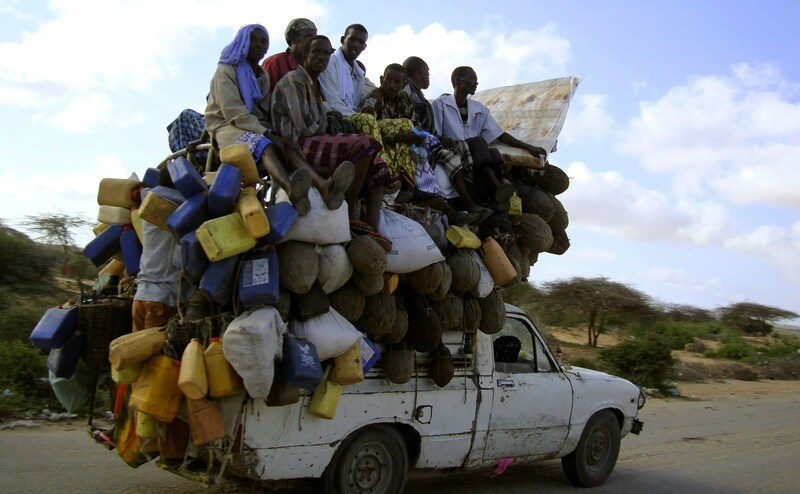 This truck in Mogadishu, Somalia is overloaded with people and supplies, including milk. 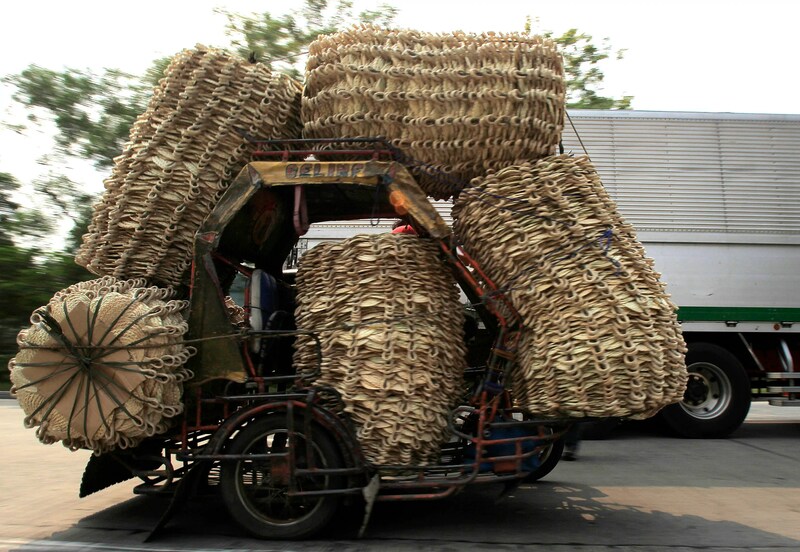 A man pedals his bicycle with a cart full of abaca fans, which he will deliver to a market in Manila. 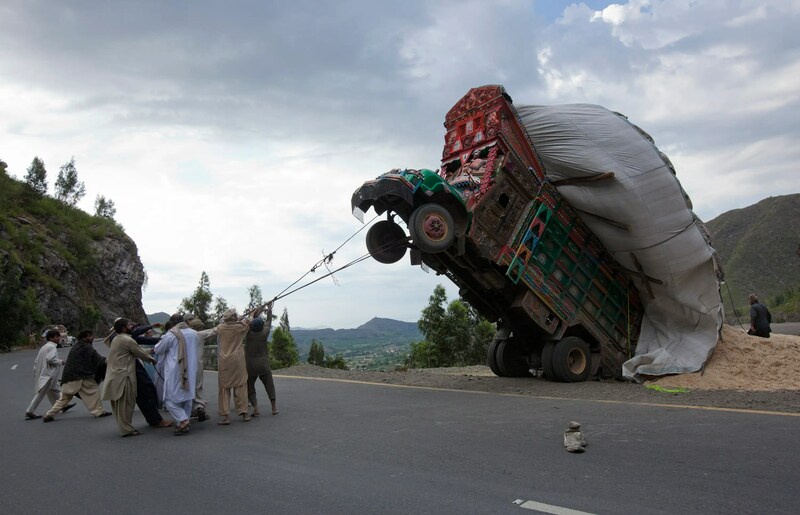 Pakistani men in Islamabad try to right a truck transporting wheat straw. 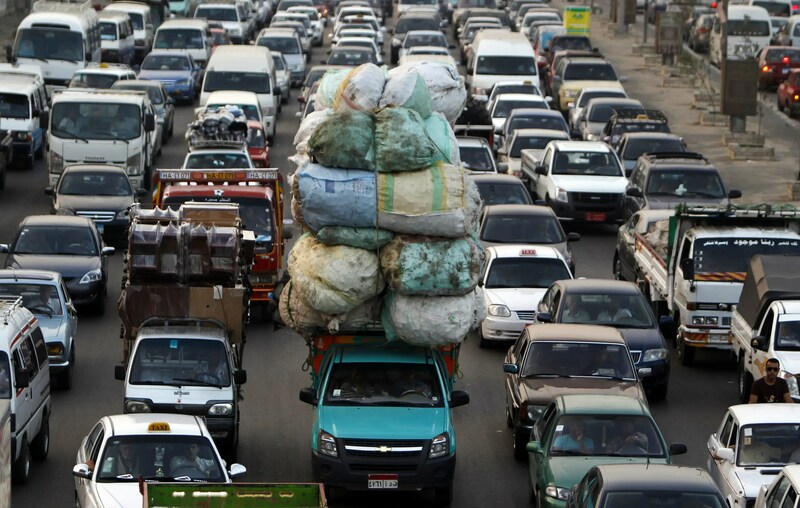 An overloaded vehicle is part of a traffic jam in Old Cairo. 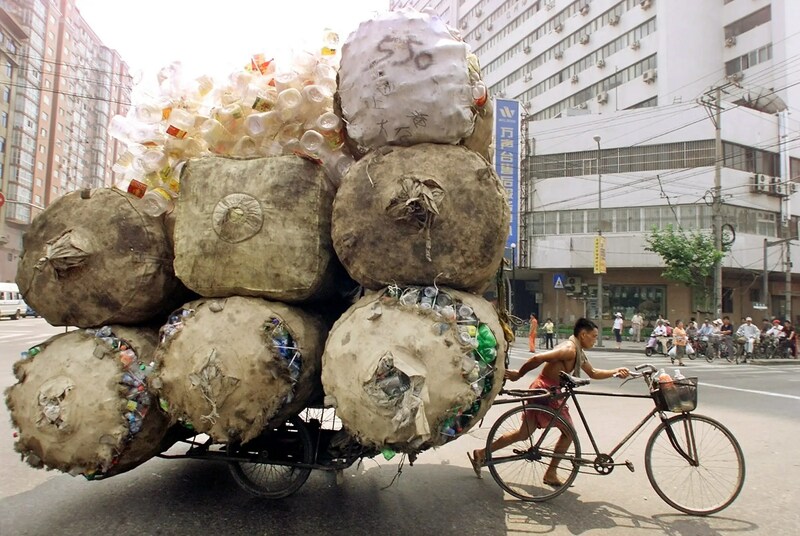 A Chinese man pushes a cart loaded with recyclable plastic containers. 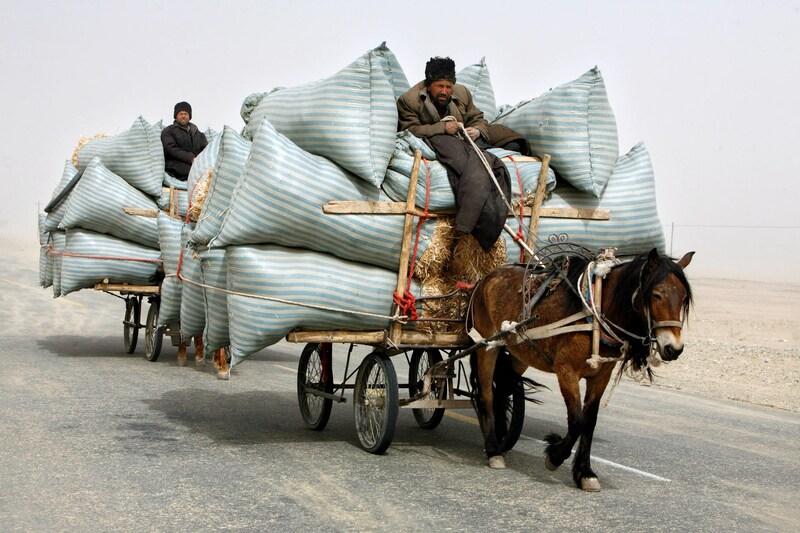 These Chinese farmers are transporting harvested barley.